This morning the owner of the guest house we were staying in drove us to the train station. 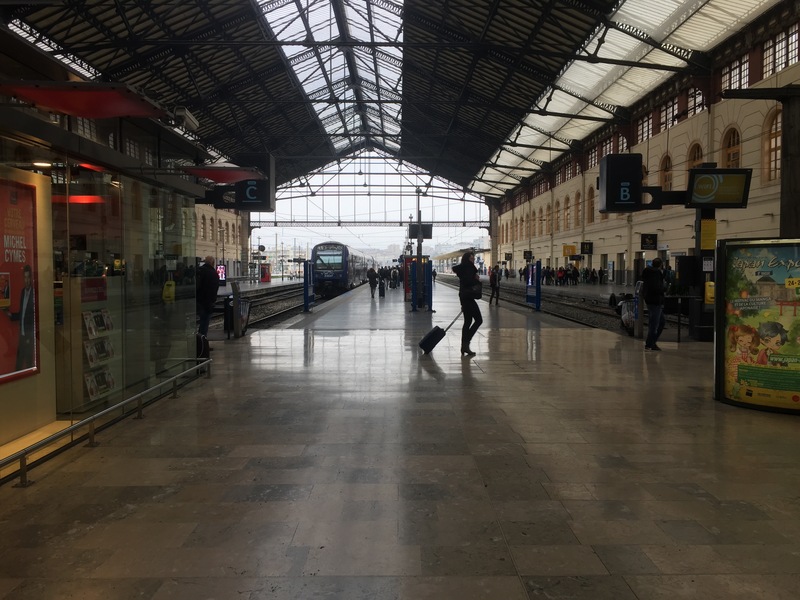 We caught a train to Marseille and then changed trains for Aix en Provence. 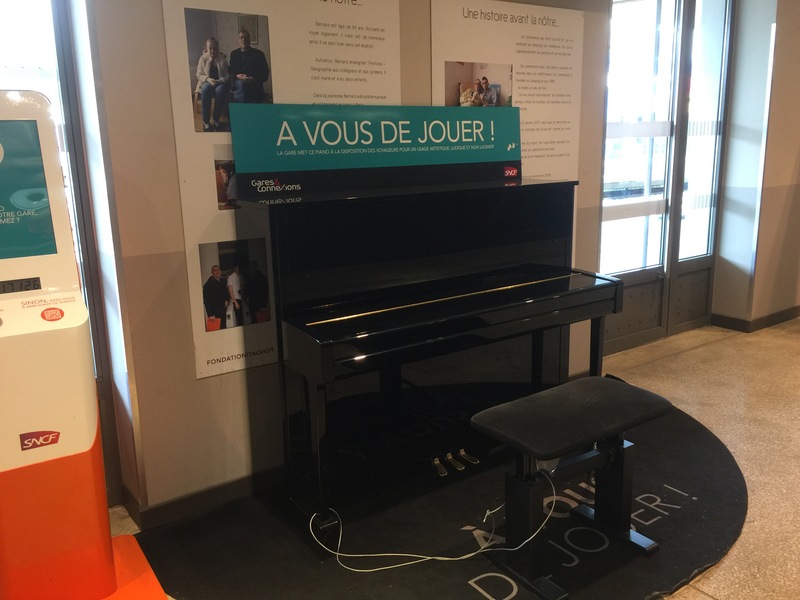 Many of the train stations in France have had pianos for people to play. 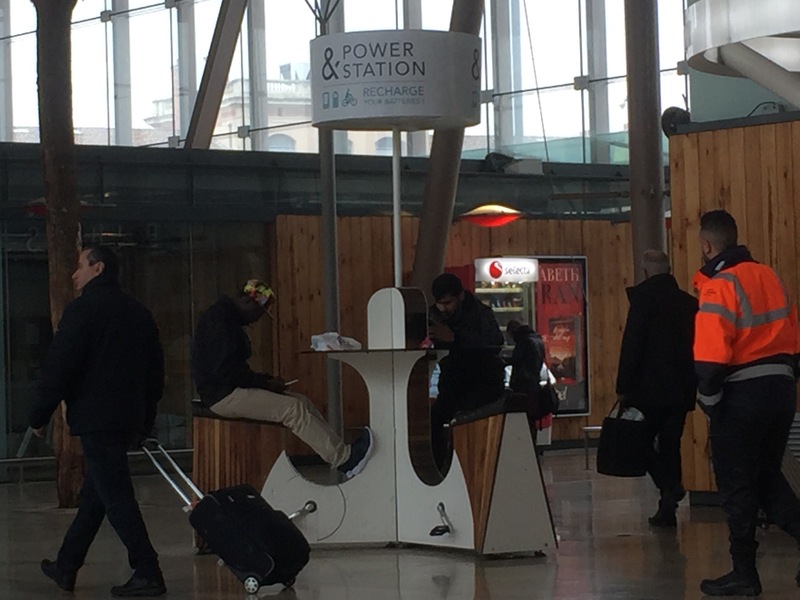 In Marseille I saw something I have never seen before, a pedal powered charging station. 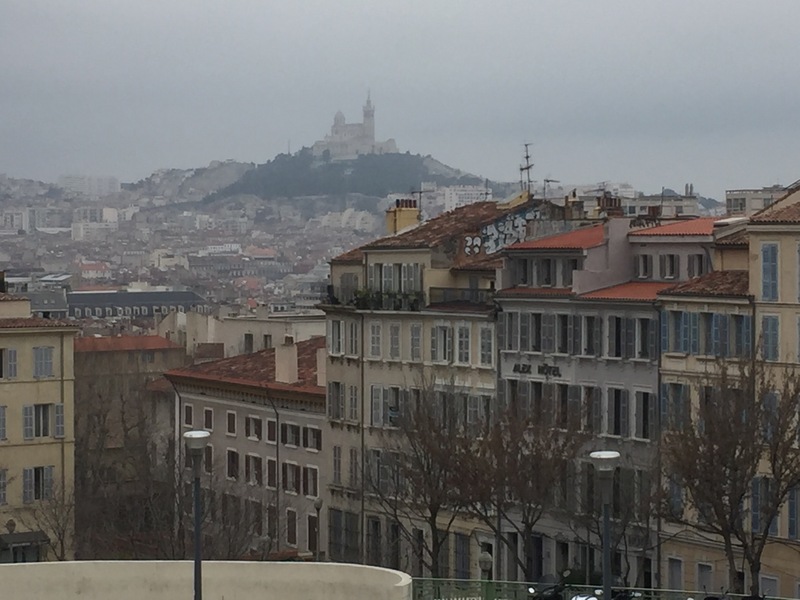 In Aix we are staying with the wonderful family that Allison lived with when she studied in France. On the way to their house we walked through the old center of Aix and stopped for lunch. 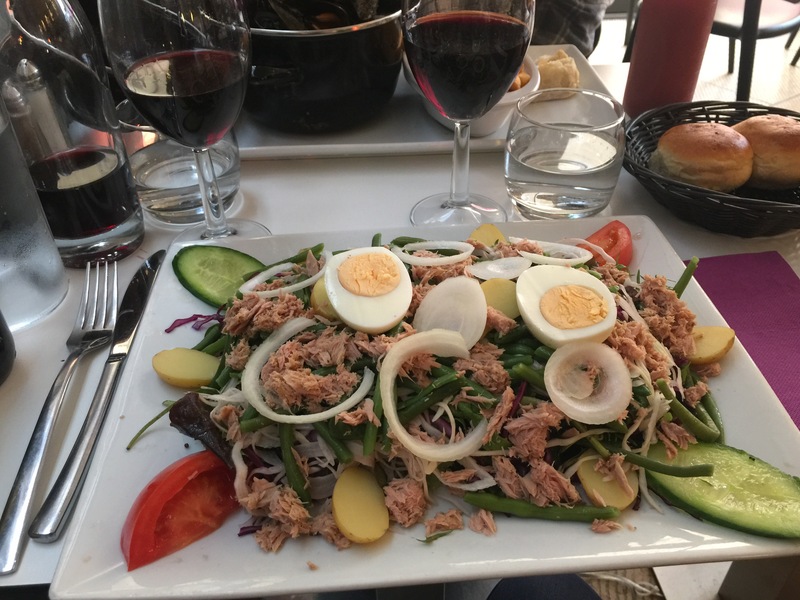 We ordered mussels with a Roquefort sauce and a salad Nicoise. They were both wonderful. 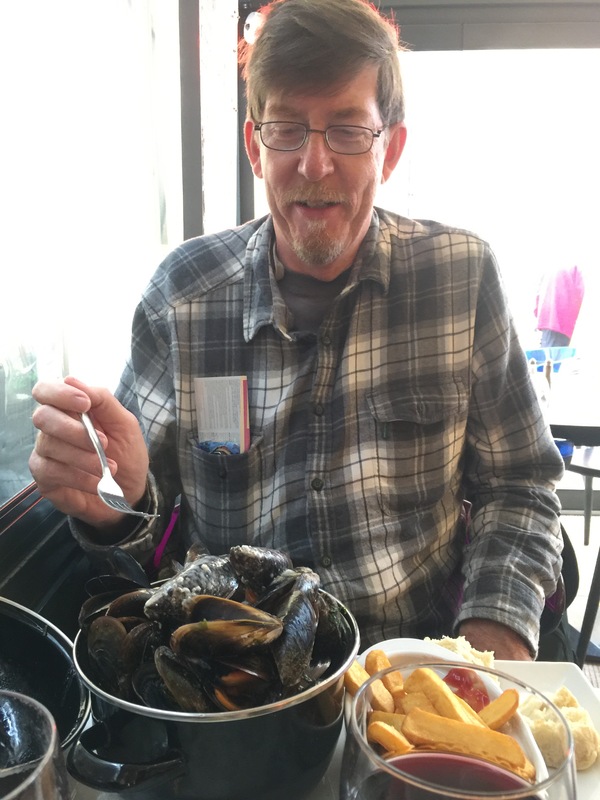 There were about 50 mussels in the mussel bucket. As I mentioned a few days ago, my iPhone has been acting up. 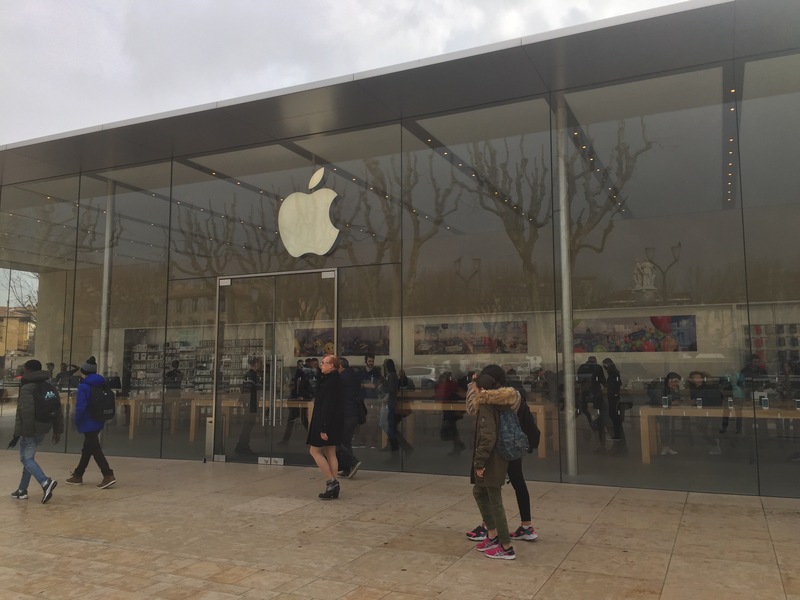 They have an Apple Store in Aix. 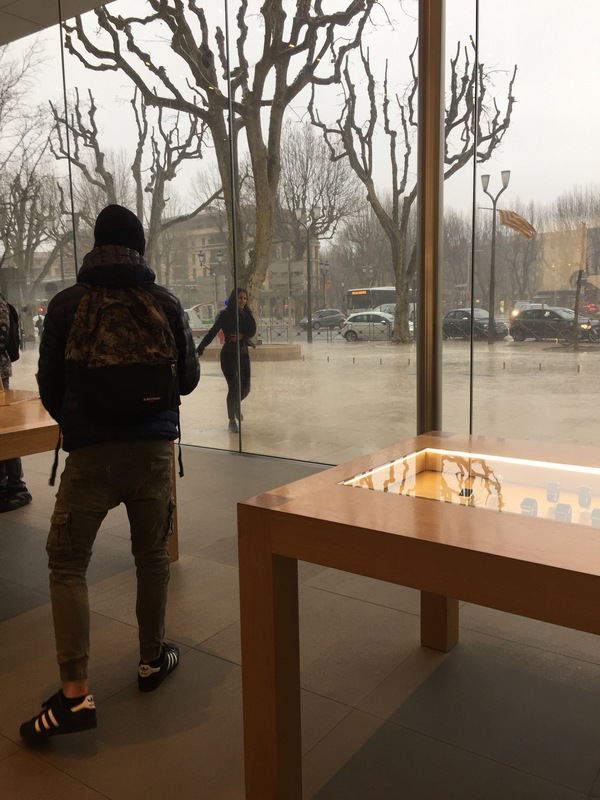 I made an appointment for 5pm for the Genius Bar. It turns out my screen problem is a known problem. It cost me €155 to get a new phone and it took a couple of hours to get set up but I’m back in business.